Alycia Toohey received her Bachelor of Science in Psychology and Master of Science in Marriage and Family Therapy from Central Connecticut State University. 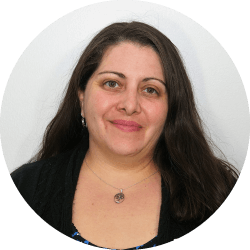 She is a Licensed Marriage and Family Therapist (LMFT) in both Connecticut and South Carolina and has 18 years of mental health experience working in-home, outpatient, outreach, Intensive Out-Patient, and Partial Hospital settings. Her experience as a therapist consists of years working with children, adolescents, and adults with many different diagnoses. Most recently, Ms. Toohey worked with children and adults on the autism spectrum in private psychotherapy practice. As part of her therapeutic approach, Alycia sees the therapist’s role is to provide guidance – not advice and believes we come to realizations in our own time. As a mental health professional who emphasizes client advocacy and strengths-based care, she is flexible in her work helping others to relieve suffering, foster growth, and develop insight so their lives can be transformed.